Golf Magazine just named the best public courses in the Midwest and the best Minnesota. If you’re looking for a great course at a great value – these are the courses to put on your wish list. Golf Magazine picked the Quarry at Giants Ridge as one of the very best public golf courses in the Midwest. The Legend at Giants Ridge also made Golf Magazine’s list of best courses in Minnesota. 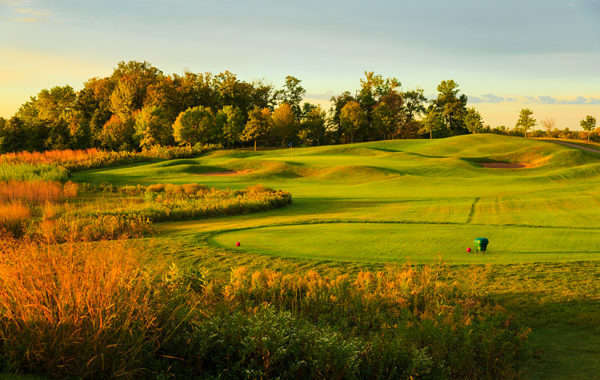 So – if you want to play some of the best golf in the Midwest – you can tackle two of Minnesota’s best golf courses with one golf vacation to Giants Ridge. The Quarry opened in northern Minnesota in 2003 and is a golfer’s dream. The Superior National Forest surround The Quarry and The Legend and both courses overlook a series of Minnesota lakes. Click here to take a video tour of Giants Ridge. The Quarry, The Wilderness at Fortune Bay, Deacon’s Lodge at Grand View, The Classic at Madden’s, Legend at Giants Ridge and Legends Club all made this prestigious list of best Midwest golf courses. Many of these courses are home to our favorite Par 3’s in Minnesota golf. Check them out here and start planning your next Minnesota golf vacation soon!